Previous PostPrevious Why Can’t We Have A Villains Park In Disney World? Hello there from Disney Springs! 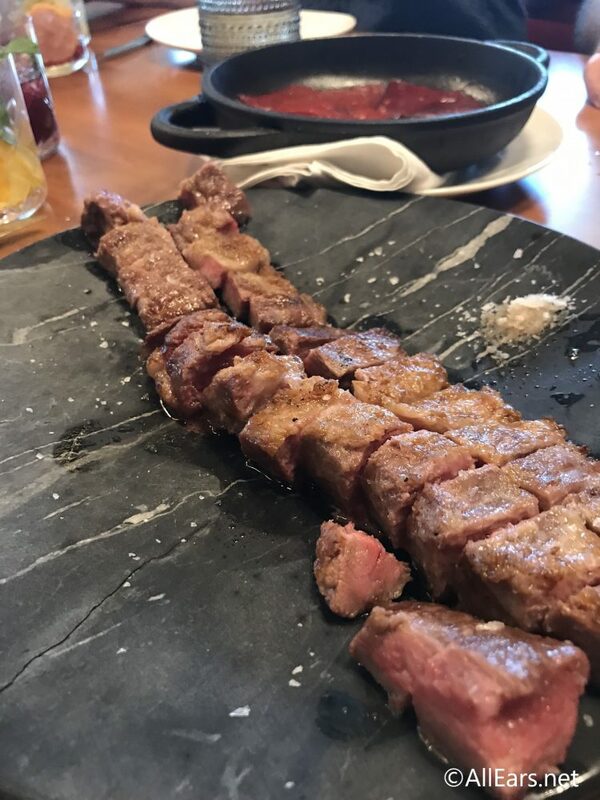 We recently had the pleasure of eating at the new signature dining spot, Jaleo and we wanted to share photos with you of our amazing meal. 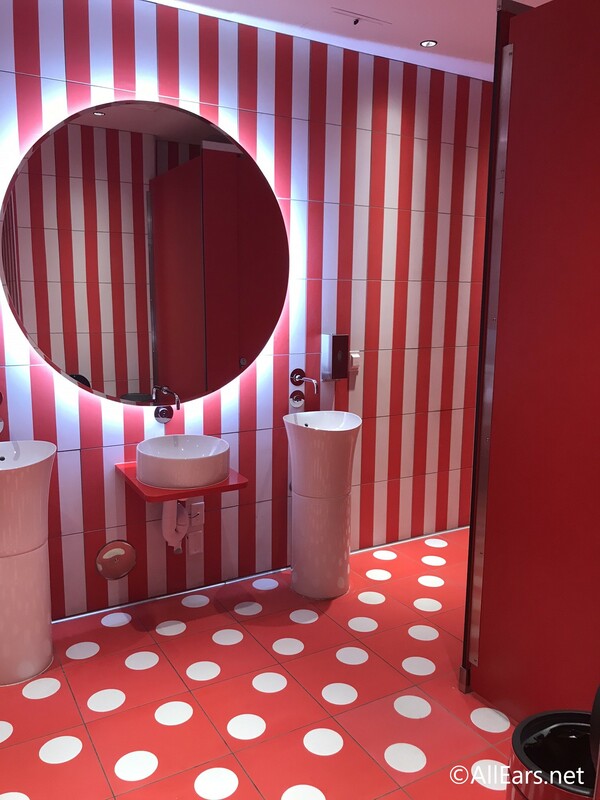 Jaleo is an upscale, elegant restaurant with hints of fun throughout its two stories — like this adorable bathroom I think Minnie Mouse would approve of! 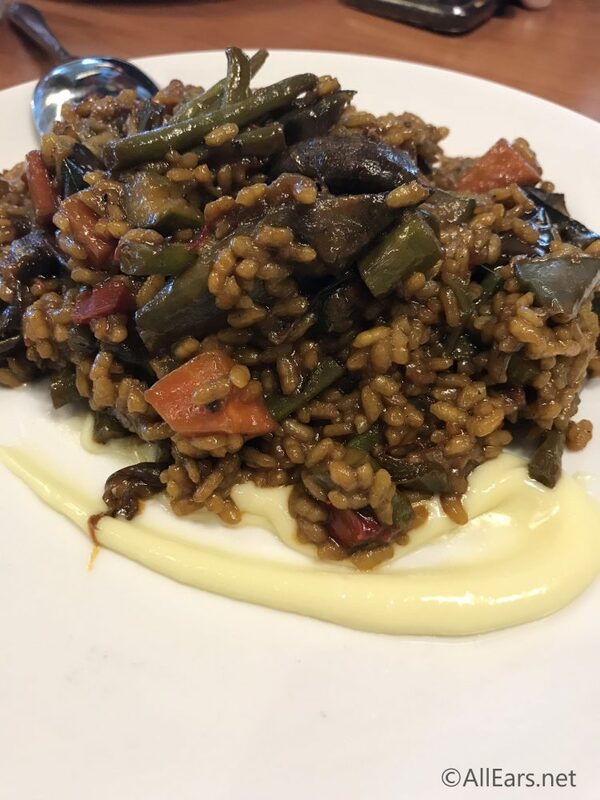 Jaleo is brought to you by James Beard Award-winning Chef José Andrés. The extensive menu features tapas, paellas, and cocktails. The Paella Pit features a wood fire where two paellas, as well as other items such as vegetables, are cooked daily. 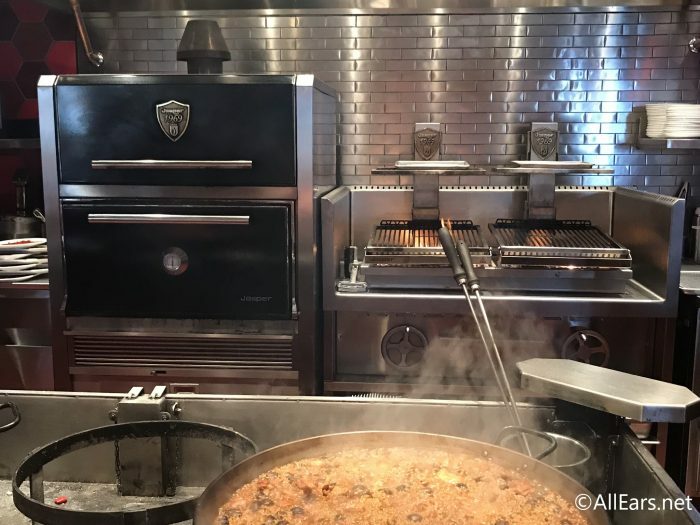 Jaleo also has a specialty charcoal oven which allows them to grill indoors. 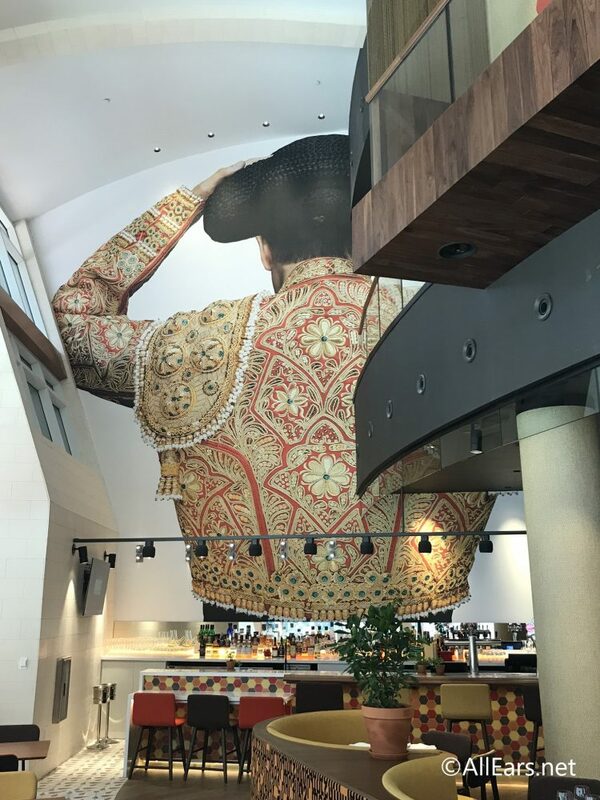 One of the coolest views in Jaleo is the aptly named “Matador Bar.” The bar seats are first-come, first-served, so this is a great place to come in and have a cocktail. 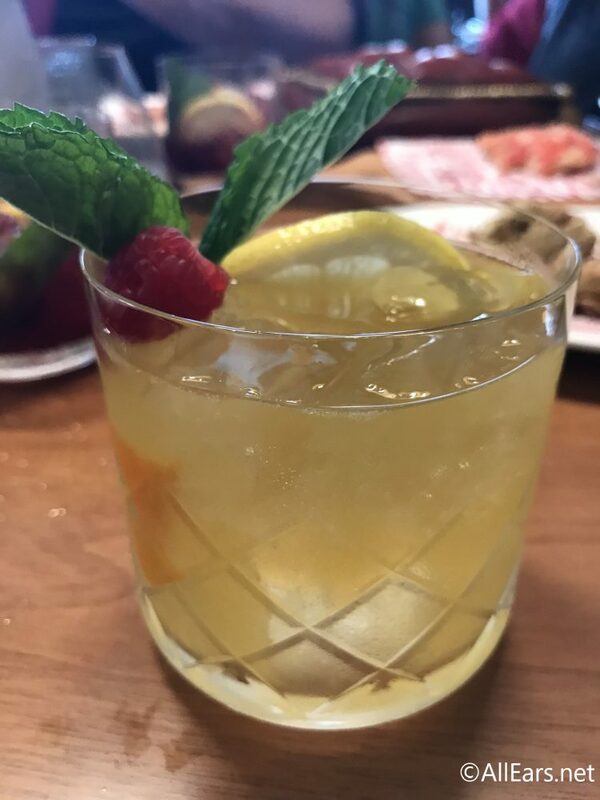 And speaking of cocktails… we of course had to try some! The white Sangria, or Sangria de Lujo Cava, features sparkling Spanish Cava Wine. 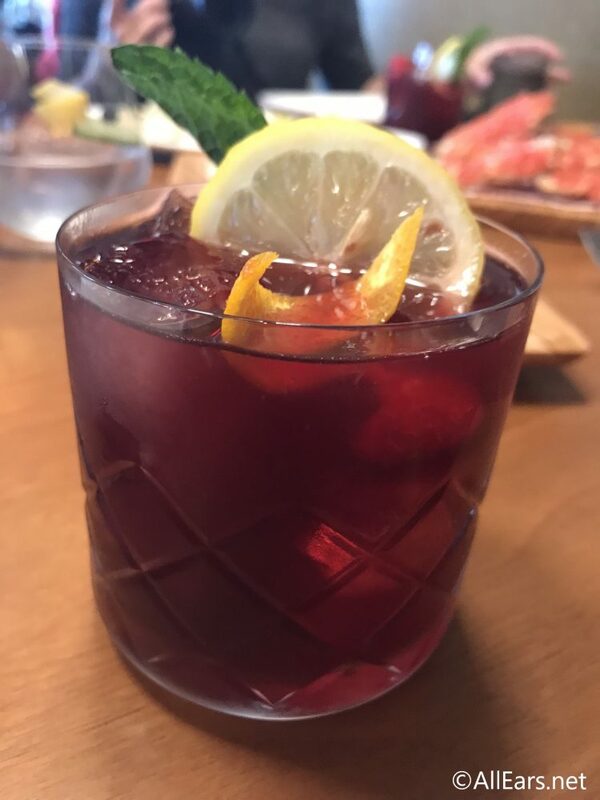 And the signature Sangria Roja is their secret recipe for classic Red Sangria. Both are fantastic and refreshing, and not sickly sweet. 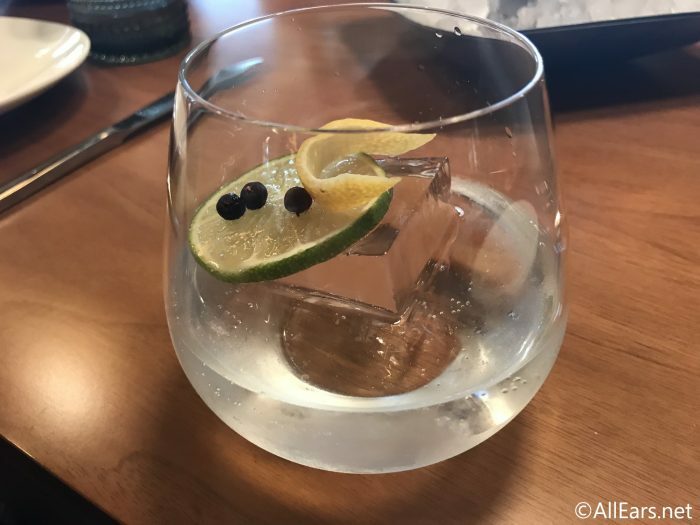 Gin and tonics are an extremely popular drink in Spain, so naturally there are several varieties on the Jaleo Menu. The most popular, and José’s favorite, is the Ultimate Gin and Tonic, which is made with Hendrick’s gin, Fever Tree Indian Tonic, lemon verbena, juniper, lemon, and lime. Now it’s time for food. 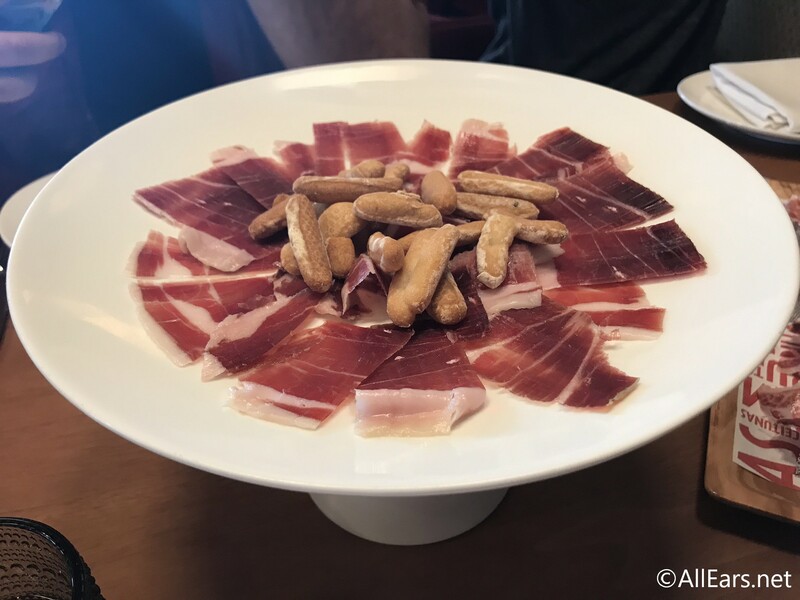 Remember, Jaleo is primarily tapas so the menu is designed to order several small plates and share among the table. That way you can try a little bit of everything! You can also get the specialty ham as part of “José’s Tacos” which are Jamón ibérico topped with supreme caviar. 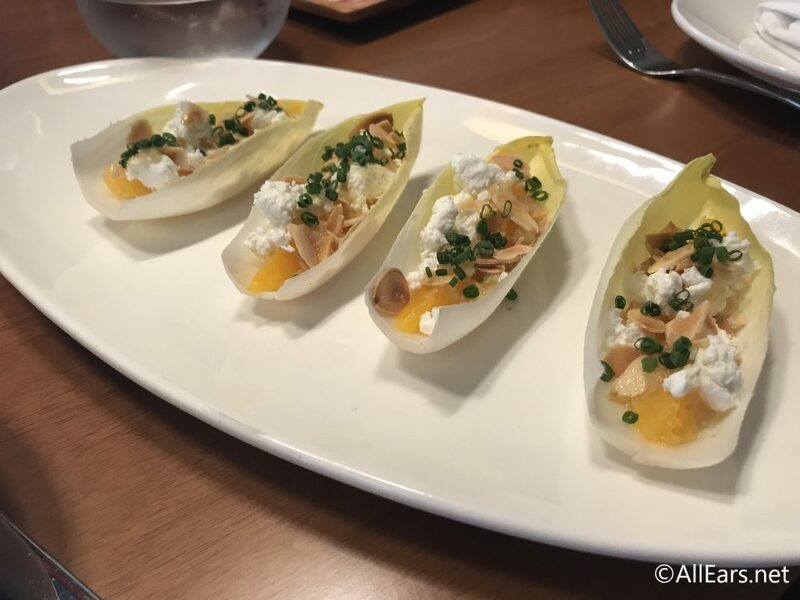 There are terrific vegetarian tapas as well — like the Stuffed Endive (Endivias con queso de cabra y naranjas), which is stuffed with goat cheese, oranges and almonds. 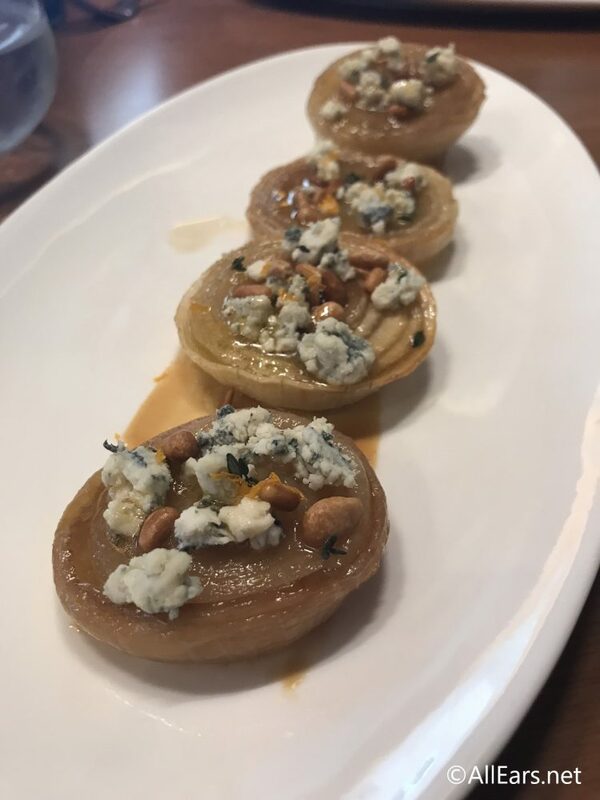 And the Cebolla Asada, which is roasted sweet onions, pine nuts, and La Peral blue cheese. 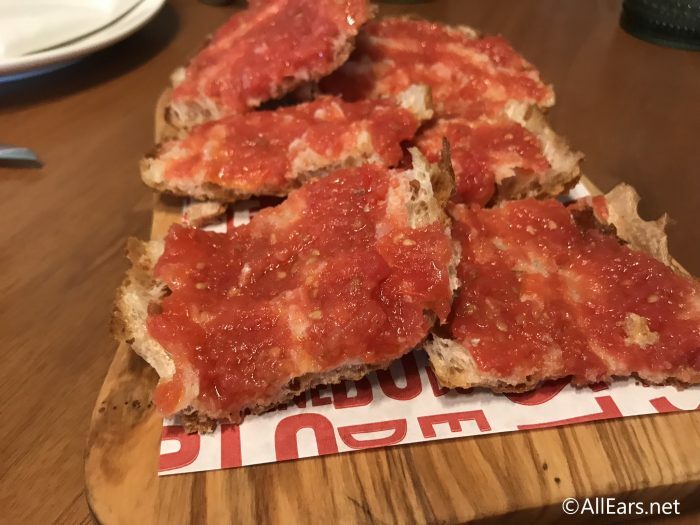 The Pan de cristal con tomate is traditional Spanish bread, topped with olive oil and crushed tomatoes (and is excellent when topped with the ham). 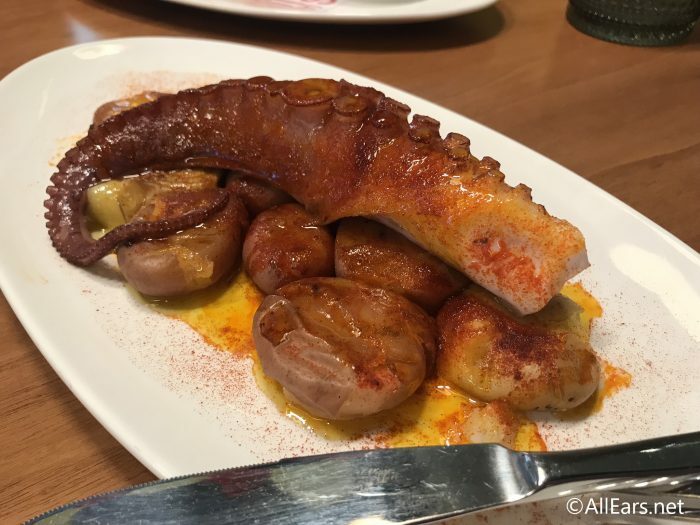 Adventurous eaters can dig into the Boiled Octopus with potatoes. Or the Chef’s Oysters Gin & Tonic — which are oysters topped with the Ultimate Gin & Tonic. 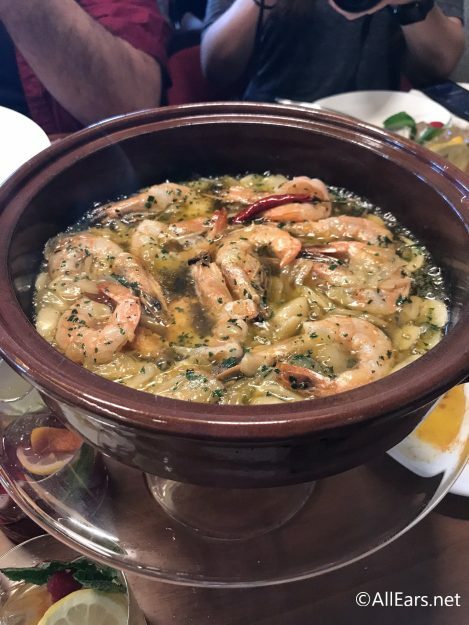 For a less adventurous seafood plate, try the Gambas a la Zahara which are head-on shrimp, with garlic and extra virgin olive oil. The menu states these are prepared as José does in summer! 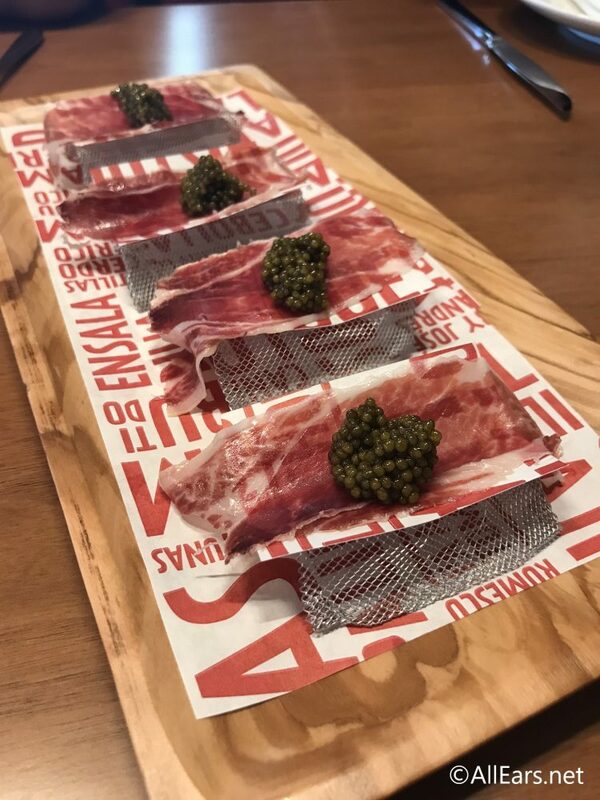 A table favorite was the “Secret Pork,” which is from the same pigs as the Jamón ibérico, but served in a “skirt steak” fashion with two amazing dipping sauces. My favorite of all though are the Chicken Croquetas, which take two days to make and are José’s grandmother’s recipe. They have an interesting presentation for a reason! When he was young, José used to get scolded by his mother for putting shoes on the table. 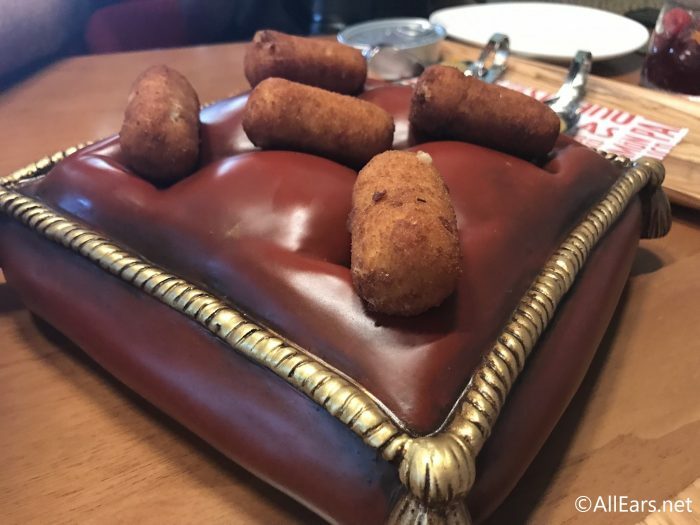 So when he opened his first restaurant, he put this family dish on a platter that looked like a shoe — because when you own a restaurant you’re allowed to put your shoes on the table! But for Walt Disney World, he wanted to do something special. He thought of the most famous shoe in all of Disney — Cinderella’s glass slipper — and how it’s presented on a beautiful pillow. And that is how they present this amazing dish! Lastly (for savory stuff!) you cannot go to Jaleo and not try the Paella. On our trip, the seasonal vegetable was an option we couldn’t turn down. It has more than 20 vegetables in it! Now for dessert. 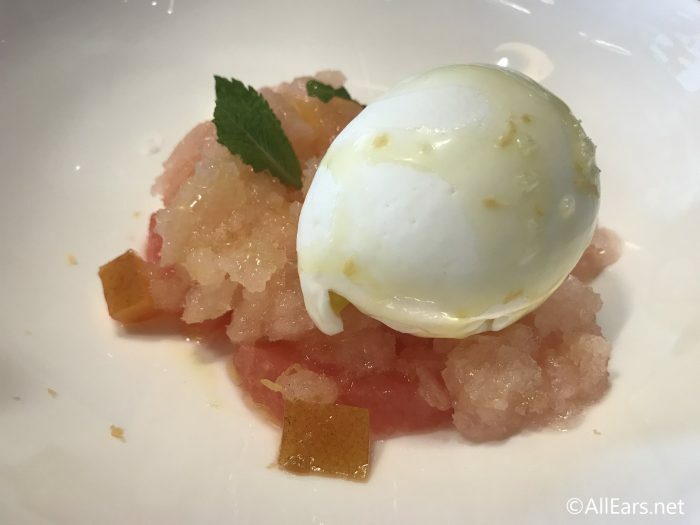 First, we tried the Olive oil ice cream with Grapefruit which is a light, refreshing dessert after a big lunch! 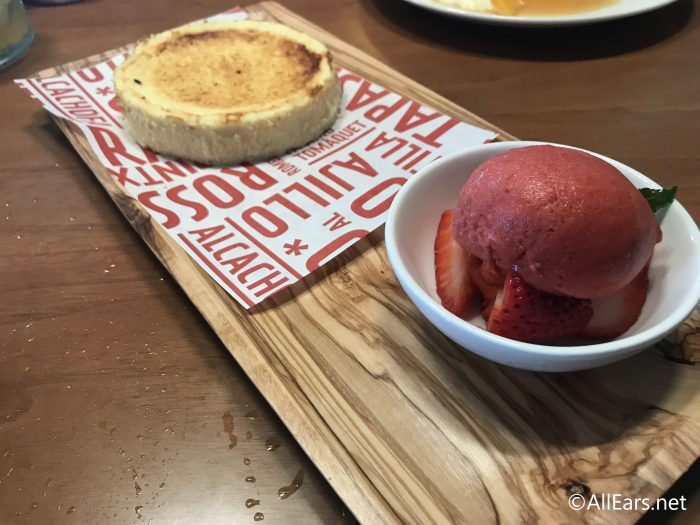 We also sampled the Quesada Asturiana, which is a goat cheese cheesecake with seasonal sorbet. 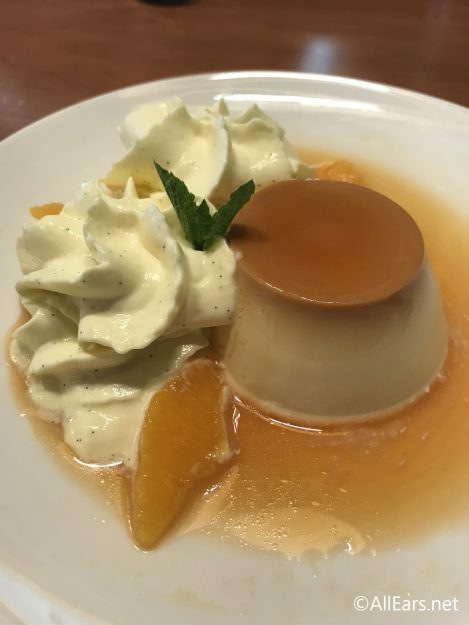 And check out the beautiful Flan! 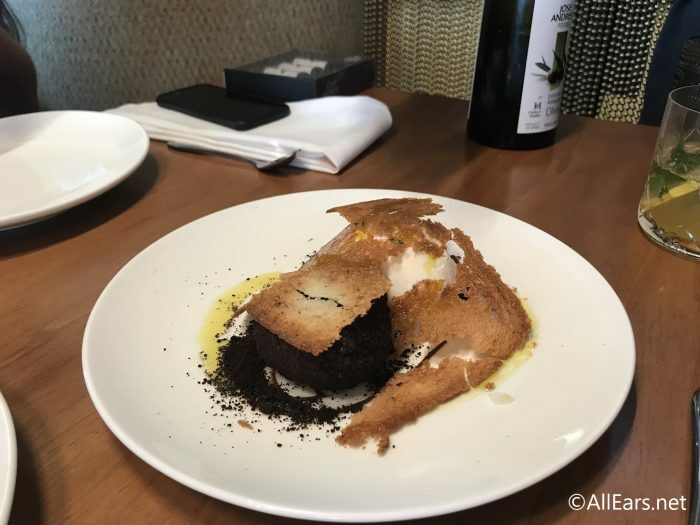 Lastly, the Pan con Chocolate which is described as chocolate custard with caramelized bread, olive oil and brioche ice cream . Wow! What an incredible meal. And there is so much more to offer at Jaleo. 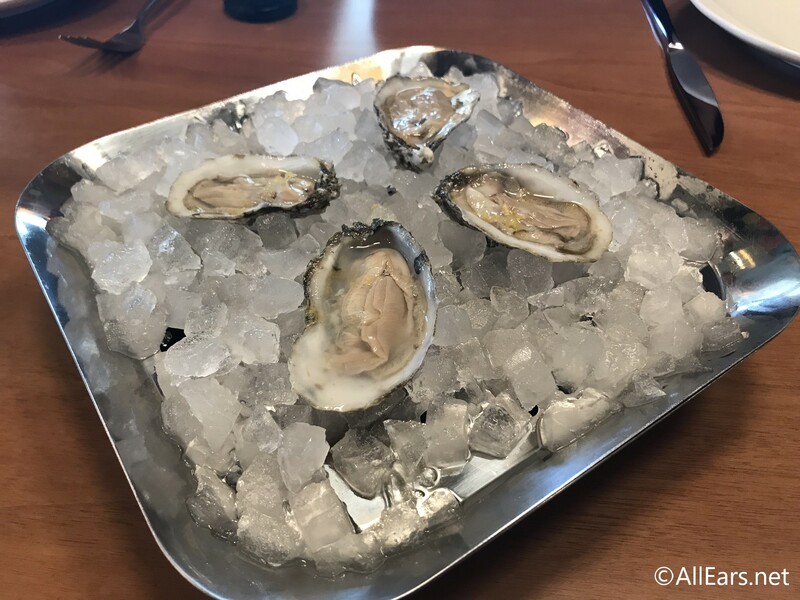 It’s certainly a great new spot in Disney Springs, especially for foodies and adventurous eaters who want to try something new. 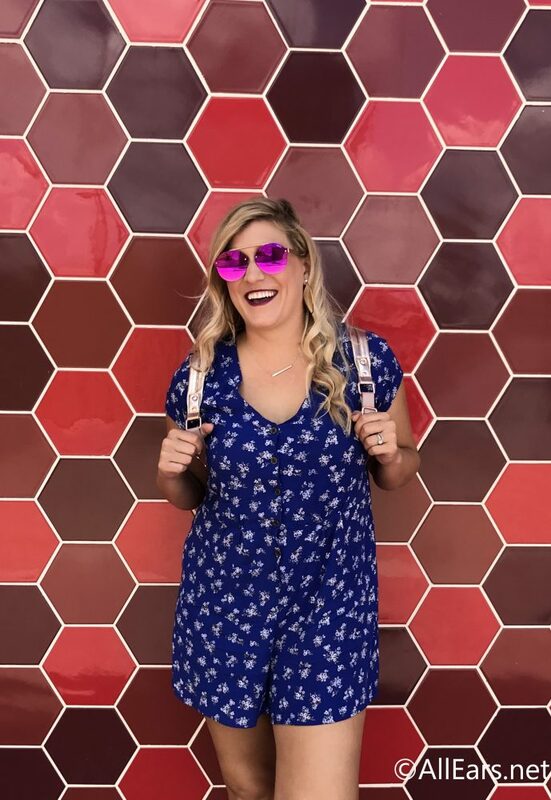 And don’t forget to snag your photo at the “Sangria Wall” after! Let’s make the “Sangria Wall” happen. Want to learn more about Disney Springs’ newest eateries? We are here to help! 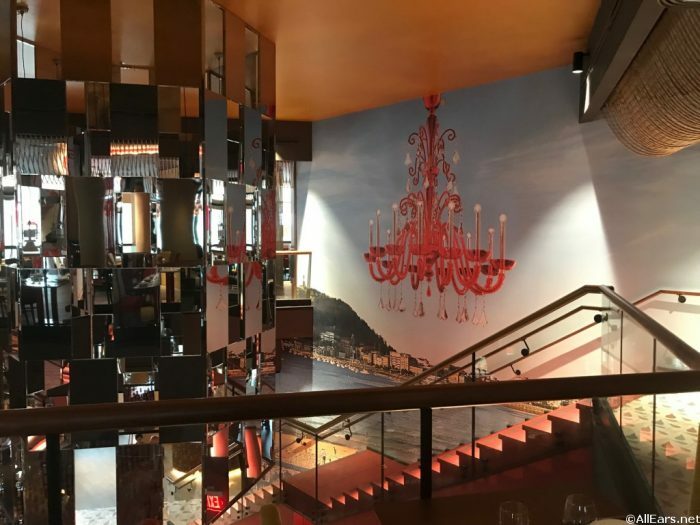 Have you visited Jaleo yet or do you plan to? Let us know in the comments below! AllEars.Net was an invited guest of Jaleo at a Media Event. This did not affect our opinion; our opinion is our own.